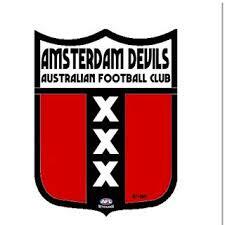 In a great day out for Netherlands footy, their Amsterdam Devils club have travelled south to France and taken out the 2019 Coupe Du Nord (North Cup). The tournament, hosted by the Cergy-Pontoise Coyotes in the north-western suburbs of Paris, featured both Paris teams – the Cockerels and Cockatoos – host team, the Coyotes, the ALFA Lions and the Devils. Sadly, the Strasbourg Kangourous did not field a team on the day. After a day which featured plenty of fun and some tough footy, the Amsterdam Devils took home the cup, outlasting the Cergy-Pontoise Coyotes in the final after each team played four round matches. The win for the Devils continues the run of success enjoyed by the Dutch national team in recent tournaments at home (Champions League – consecutive grand finals Amsterdam Devils) and abroad (Euro Cup – Bowl Final Netherlands Flying Dutchmen). Attention will now turn to the resumption of the CNFA Leo Lagrange season in France with matches to resume after the winter break on March 2nd. This weekend, the Bordeaux Bombers and Bayonne Toreadors got under way with a friendly match in Bordeaux. The Amsterdam Devils will return home triumphant and build towards this year’s Champion’s League tournament in Amsterdam in April. It was certainly a clever and daring raid on Cergy which saw them grab the Coupe Du Nord, giving them great momentum for the Champion’s League.